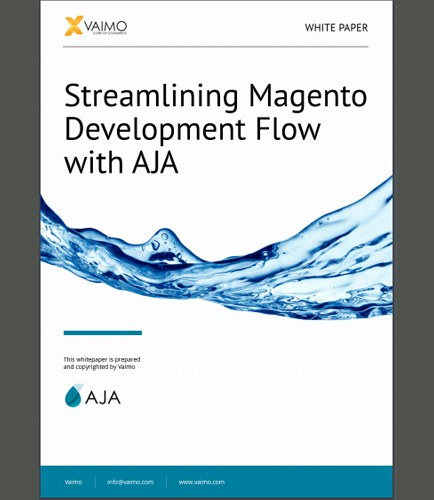 "Benefits of using AJA for the Entire Magento Development Lifecycle"
Using AJA to streamline the Magento development flow automates the entire workflow from Development to Production. Magento is a complex system, and without appropriate tooling, principles and audit trails, managing deployments to different environments can be cumbersome. AJA supports the Magento application not only during development, but along its entire lifecycle. How to use AJA in keeping the Magento system secure? Application of AJA in Magento Development. Key design principles in AJA. Advantages of using AJA for Magento. Issues and challenges in Magento development. Download this whitepaper on Magento Development which looks into the limitations of manual deployments, common failures, and the benefits of using AJA for the entire Magento Development Lifecycle.